The Apple iPad Pro 9.7 is an ideal choice for both work and play with its powerful hardware and an optimal 9.7-inch display size. The iPad Pro 9.7 is also ultra-thin, lightweight at 6.1 mm, 444 grams respectively which makes it an highly portable device to carry around with you. If you intend to use the iPad Pro 9.7 predominantly for work, a keyboard/keyboard case is a must have accessory. A keyboard case lets you shoot a quick email or conveniently create a document on-the-go while also protecting your device from accidental drops, scratches etc. Listed below are the top 5 best Apple iPad Pro 9.7 keyboard cases (alternatives to the iPad Pro 9.7 Smart Keyboard). 1. 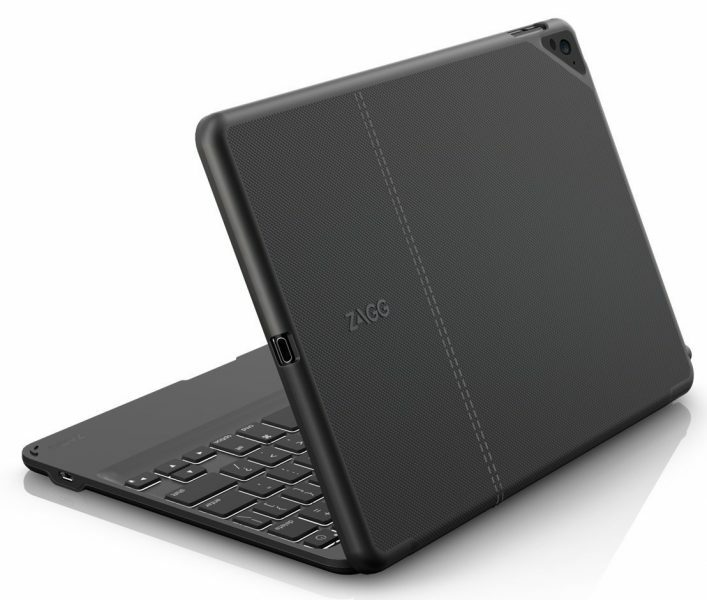 Zagg Apple iPad Pro 9.7 Backlit Bluetooth Keyboard Folio Case: The Zagg Apple iPad Pro 9.7 Backlit Bluetooth Keyboard Folio Case is an ultra-thin, high-quality keyboard case for your iPad Pro 9.7. 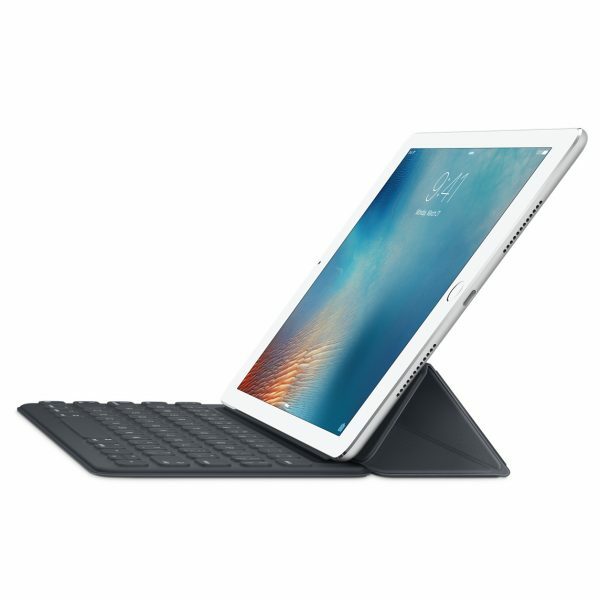 The keyboard case uses an unique hinge mechanism to offer 135-degree viewing angles to the iPad Pro 9.7. The Zagg Apple iPad Pro 9.7 Backlit Bluetooth Keyboard Folio Case also features backlit keys with adjustable brightness and choice of colors. 2. 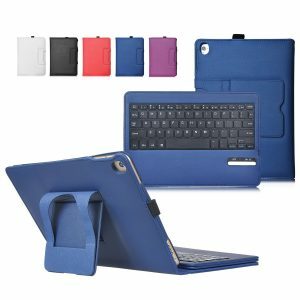 Procase Apple iPad Pro 9.7 Wireless Bluetooth Keyboard Case: The Procase Apple iPad Pro 9.7 Wireless Bluetooth Keyboard Case is highly versatile. The case offers multiple viewing angles and is also 360-degree rotatable, letting you use the iPad Pro 9.7 in both landscape and portrait orientation. The hard case provides decent protection to the iPad Pro 9.7 and can be easily detached from the keyboard for standalone use. 3. 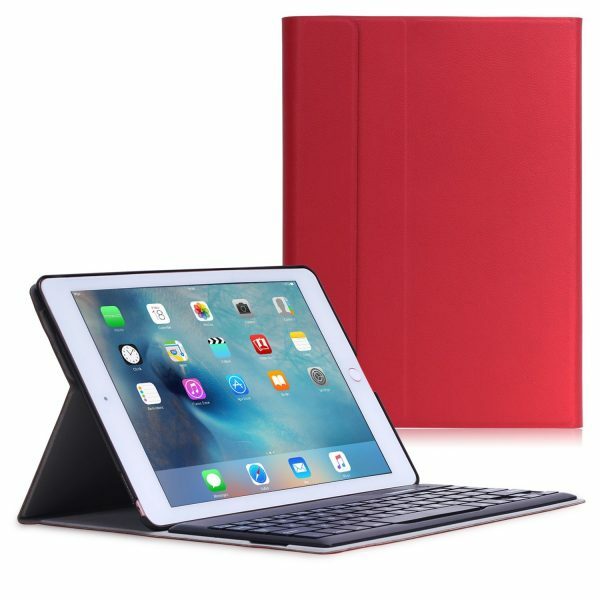 Boriyuan Apple iPad Pro 9.7 Bluetooth Wireless Keyboard Folio Stand Smart Cover Case: The Boriyuan Apple iPad Pro 9.7 Bluetooth Wireless Keyboard Folio Stand Smart Cover Case is ultra-slim, stylish and looks good. The Boriyuan Apple iPad Pro 9.7 Bluetooth Wireless Keyboard Folio Stand Smart Cover Case features a detachable wireless Bluetooth aluminum keyboard with 7 different backlit key colors to suit your taste. 4. 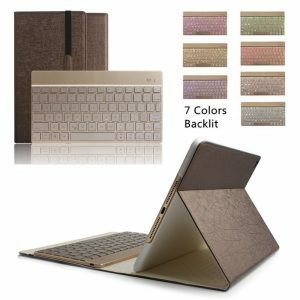 IVSO Apple iPad Pro 9.7 Bluetooth Keyboard Case: The IVSO Apple iPad Pro 9.7 Bluetooth Keyboard Case is made from high-quality PU leather. The case supports smart auto wake/sleep function and sports an handy slot for the Apple Pencil. The IVSO Apple iPad Pro 9.7 Bluetooth Keyboard Case is available in 5 different colors to choose from. 5. 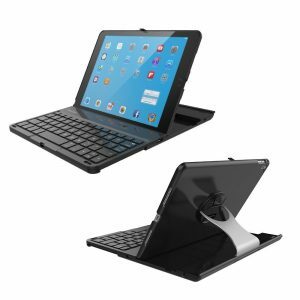 Moko Apple iPad Pro 9.7 Keyboard Case: The Moko Apple iPad Pro 9.7 Keyboard Case is ultra-thin, lightweight and features a magnetically attached detachable wireless Bluetooth keyboard. The case also secures your device with a magnetic closure. 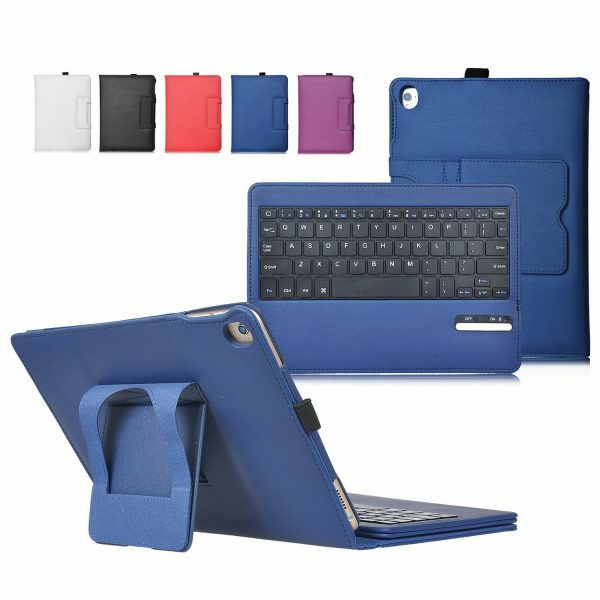 The Moko Apple iPad Pro 9.7 Keyboard Case is available in 5 colors to choose from. These are the top 5 best Apple iPad Pro 9.7 keyboard cases. Do let us know through the comment box below if you know any other good alternatives to the Apple iPad Pro 9.7 Smart Keyboard.